While in the AFC South Peyton Manning led the Indianapolis Colts to a dominant reign at the top of the division. Behind the arm of Manning the Colts were the only team that could win a division title in the South with Tennessee winning the odd title. When Manning moved to the AFC South the pattern seems to have been transferred to a new division. The addition of Manning to the division has changed everything about the AFC West in only the two years that he has been with the Broncos. In those two years the Broncos have won the division twice and been considered favourites to win the super Bowl. It didn’t take anything other than the arrival of a quarterback to make them favourites from year to year and last year they almost made good on all of the predictions from the preseason as they had a great year and moved all the way to the Super Bowl. They didn’t end up winning the Super Bowl but it was clear that the Manning era in Denver was ready to take off for as long as Manning wanted to play. Denver is hoping that the pattern can begin to resemble the old AFC South when nobody else could do a lot to unseat the Broncos. It is a strange pattern in the NFL as there is rarely a player that can take control of a division like Manning has. It is partly the skill that Manning brings to an offence as he is a quarterback that can make his teammates better. It is also part the aura of Manning and having to play the man who most consider to be the best quarterback of the era. The teams in the division get to see him twice a season and so they focus on trying to handle Manning and the Broncos in hopes that they can end the rein before the dominance begins. Despite the dominance of one team the West is still one of the best divisions in football. 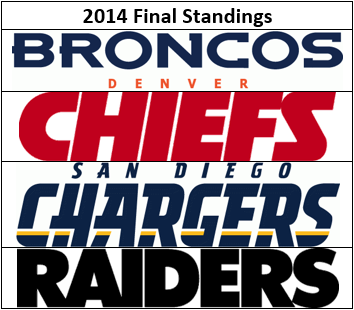 In 2013 the Broncos were far and above the best team in the division the second two teams still made the playoffs. It has been that way on both ends of the league as the West is rising to be the best two divisions in the NFL. The AFC West is carrying their load as teams are rising up to the level of the improved Broncos and making noise in the AFC. AS they continue to improve they look to challenge the Broncos this year and not allow Manning to take over the division like he did in the South. 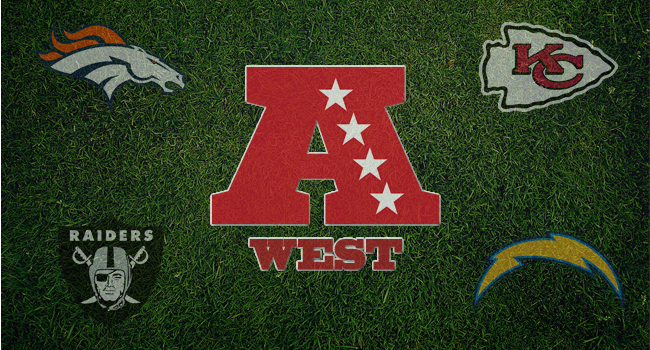 As the West enters a new season they look to continue to chase the Broncos but also look to continue to dominate the AFC. Everyone in the division will try to make the playoffs and if they repeat the performances of last year they may very well take the two wild card spots. The West is rising and they are the division to watch despite the fact that one team seems to be on their way to a long time at the top. They will be a division to watch all year as everyone watches Manning and the other teams that are trying to unseat Manning and the Broncos in what could be a great battle. The Denver Broncos are the defending AFC Champions and many expect them to get back to that point in 2014. 2013 was a year where the Broncos got the payoff from the addition of Peyton Manning to help lead their offence. Manning seemed to find a new gear in 2013 as he looked like a better quarterback. He was the main reason why the Broncos won the division and moved into the Super Bowl. That is where the great season ended as the Broncos were blown out with Manning only scoring one touchdown the entire game. It was an embarrassing end to an otherwise great year and the Broncos come into the new season hoping to erase the memory of the Super Bowl loss. It is clear that the Broncos are based on the performance of Manning. Before Manning arrived the broncos were a good team but they were not a team that was going to make the Super Bowl. 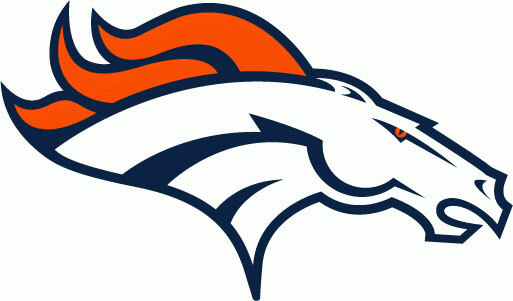 When Manning got to Denver it all changed and immediately they took the step to constant Super Bowl favourites. If Manning can have another great year he will guide the Broncos back to the playoffs and continue making the Broncos offence one of the best in the league. There is little question that anyone on the offence is not going to have a good year with Manning under centre but the bigger question is whether or not the defence can stand up. The defence is a good one but it is not great and it needs to get better if they want to win a Super Bowl. A lot of the development will be dependent on Von Miller who was suspended for the first six-games last year. With a full year Miller hopes to lead the pass rush that will be improved with the addition of DeMarcus Ware. The offence leads this team while the defence needs to pick up their end if the Broncos hope to win a championships but the offence alone can lead them to the playoffs again as they remain the class of the division. 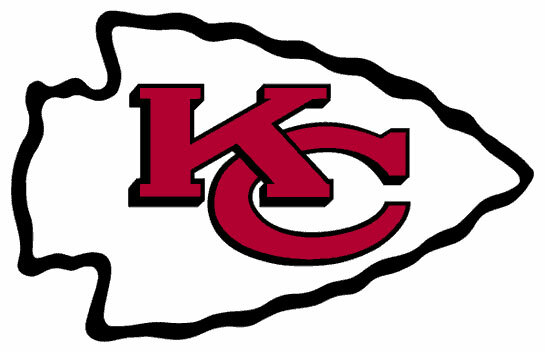 The Kansas City Chiefs were expected to be a better team in 2013 as a new regime was coming in to change the attitude in the Chiefs’ locker room. Nobody expected them to change things as much as they did though as the 2013 season was a surprising one. The Chiefs were one of the better turnarounds in the league last year as they went from one of the worst in the league to finishing second with an 11-5 record. They moved on to the playoffs but ran out of steam in the wild card game where they lost to the Indianapolis Colts. The Chiefs are on the rise and they hope that they can continue to rise up the division standings and prove to be a true force in the AFC. The biggest issue for the Chiefs had always been at the quarterback position as they had been unable to find someone to lead them for years. Now the Chiefs have Alex Smith under centre who, although he is not a team carrying QB, is a steady hand in the backfield. He may not make any big plays or carry the team to the Super Bowl alone but he does what the Chiefs need and that is to get the ball into the hands of their playmakers. If Smith can continue to just put the ball into the hands of Jamaal Charles and Dwayne Bowe and let them make the plays. That is how this offence operates but they do not need to be the leaders on the team as the defence is that leader. The defence was great in the first nine games of the season to help the Chiefs to 9 straight wins. The problem was that the defence began to falter at the end of the season and the Chiefs came down to earth very fast. The Chiefs will need to avoid that let down if they hope to be in the playoffs again this year as they need to play a full season if they want to prove that they’re for real. The Oakland Raiders have been one of the stranger teams throughout their time in the NFL and that has rarely changed. Al Davis led the team when they were winning and losing but always made some questionable decisions up to his death in 2011. As good as Al Davis was for the team and for the league he was still a manager that made many questionable moves. The Raiders are moving on from that now as they are steering the ship back towards winning and hoping that 2014 can be another step. They finished last in the division in 2013 but much of that was the fact that they were forced to clean house to get under the cap. This year they had a new strategy as they went on a spending spree with that free cap in hopes to make a bigger leap this year. The Raiders have always focused on defence and this year was no different as they went out to get Carlos Rogers, LaMarr Woodley, C.J. Wilson, Antonio Smith, and possibly the biggest signing Justin Tuck. The addition of these players along with draft pick Khalil Mack should be an immediate upgrade from last year’ team as the pressure up front is better with Tuck on the end while the defensive backfield now has two playmakers in Charles Woodson and Rogers. On offence the Raiders have suffered from the same infliction that most teams suffer from as they have been unable to find a quarterback to get the ball in the hands of the speedy players that the Raiders love to draft. The Raiders hope that the solution is Derek Carr who the Raiders named the starter just before the season began. Carr was a great college QB at Fresno State and the Raiders saw enough out of him in the preseason to hand him the ball ahead of Matt Schaub. 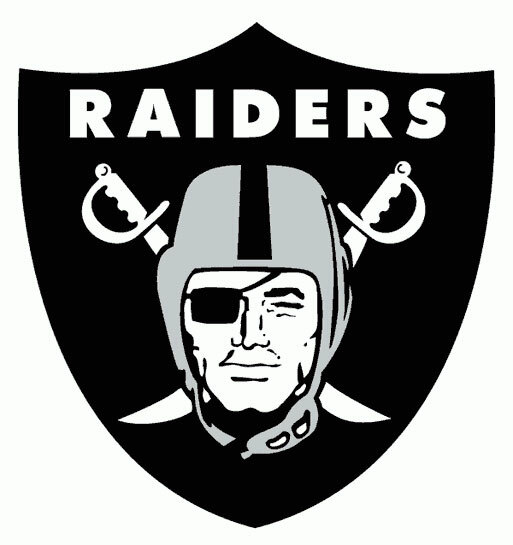 The Raiders are on a different path in 2014 and they are hoping that the new attitude can bring them out of the basement while the signings help them become competitive in the division. 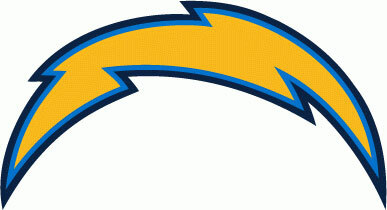 The San Diego Chargers are a team that is used to being the only good team in the division but now they are falling fast. In 2013 they made the playoffs but they made the postseason despite their losing record. A surge at the end of the year along with a few miracle wins helped the Chargers get into the playoffs while another unbelievable game in the wild card made them a great story at the end of 2013. That is where it ended though as they took on the Denver Broncos and lost in the Divisional round. The Chargers ended any rumours of a drop off with the end of their season but that end masked a lot of issues. The Chargers enter a new season with much of the same team as they did last year minus a few players. The positive is that Mike McCoy seems like a coach that can get the best out of his team when he needs to but the team is still one that has some holes. Philip Rivers held things together last year but there are still a lot of questions as to whether or not he is the quarterback to lead the Chargers to a Super Bowl. If he can stay on his feet and the line holds up like they did in 2013 there are plenty of options for Rivers. Keenan Allen, Malcolm Floyd, and Antonio Gates make a good pass game while Ryan Matthews has proven to be a solid rusher. The defence is good up front with Corey Liuget leading the way for Manti Te’o and Melvin Ingram. The defensive backfield is a different story though as the Chargers are one of the worst last year and the Chargers did little to improve it in the offseason. When playing against the likes of Peyton Manning that will be a problem for the Chargers. They are a team with plenty of questions this years but the biggest one will be whether or not McCoy and the new regime can prevent the Chargers from falling. The AFC West is a division with a dominant ruler that can be linked to only one player and yet they still produce some very good teams. The Oakland Raiders are just trying to be put into the same conversation as these big contenders. They are improved again this year but they are not improved enough to find their way to the division title race. The San Diego Chargers are almost the opposite of the Raiders as they are not improving and despite a good showing last year they will not make it back to the playoffs until the fix their defence. The Chiefs and Broncos are left to fight for the division but all indications are that they will not have much of a fight. The Chiefs are a good team but they will not match the wins of last year although it will still keep them in the playoff run. The Broncos are the team to beat this year and seemingly every year that Manning is under centre. The Broncos will take the division again and they will move on as one of the favourites to win the AFC as a matchup between them and the Patriots seems inevitable.